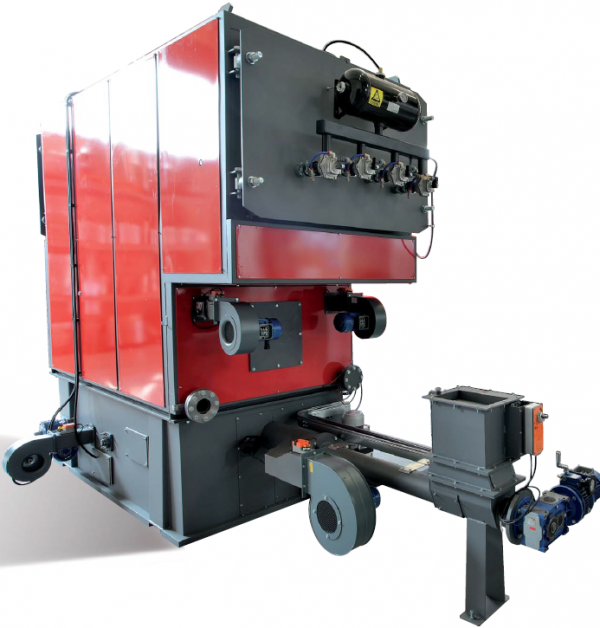 The technical solutions offered allow to burn also moist material up to 75%. EOS boilers are ideal for: production of thermal energy for industrial facilities, large stores, agricultural industries, nurseries, centralized heating systems, steam generation for production processes. Thanks to the heat exchanger large size and the low fume temperature, EOS guarantees high yields, up to 93%. The automatic cleaning system guarantees a high performance and a significant reduction of machine downtimes due to ordinary maintenance operations. 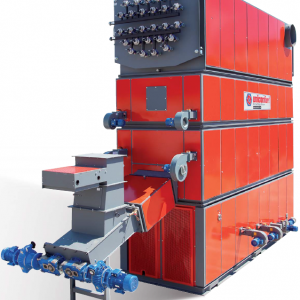 It allows a better programming of the system Start & Stop, by optimizing biomass infeed and chimney emissions. 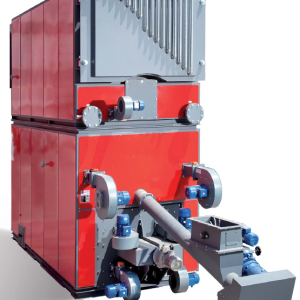 EOS allows to work at double pressure than other boilers in its class (up to 4 Bar). It can operate with higher input/output temperature differences, which allows to install low-capacity pumps. This translates in lower energy consumption. 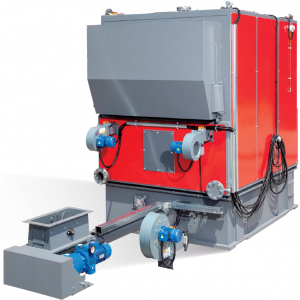 Thanks to its new combustion system, EOS offers maximum infeed biomass flexibility.